I’m a pretty adventurous eater, but I have my boundaries. Last night I challenged my boundaries and tested one of China’s seasonal delicacies – dog. If you’re a dog lover I would suggest that you stop reading now. I’m not going to get gross or graphic, but I’m going to describe the experience for those who are curious. 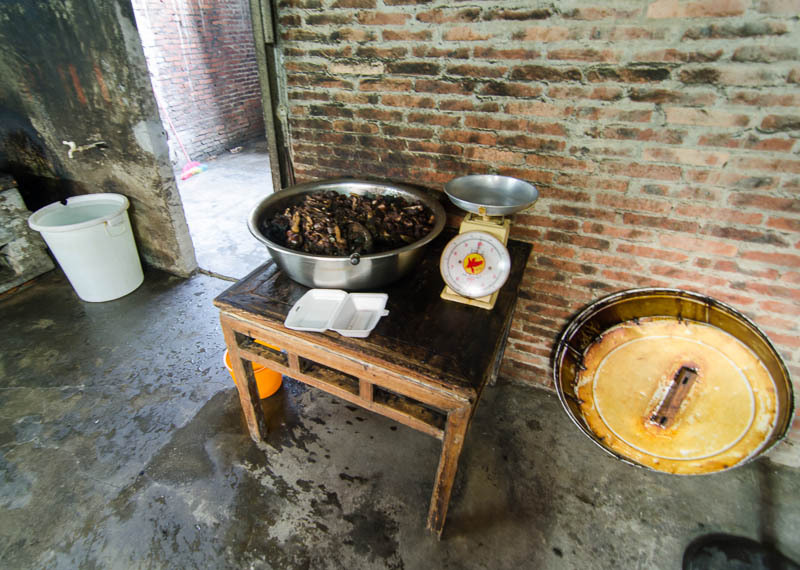 The photos below aren’t graphic and only show typical restaurant images, so maybe just skim down to the photos if you don’t want to learn about eating dogs. Dog is a “cold weather dish” in China. 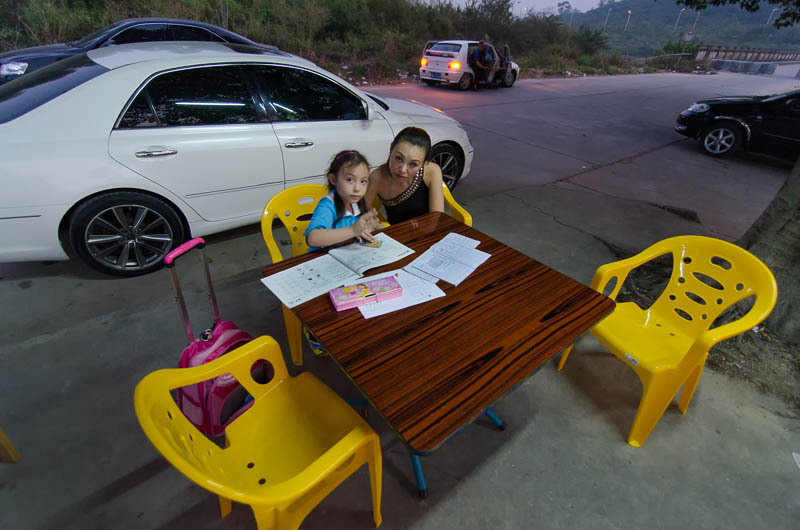 Most restaurants begin serving dog after the mid-autumn festival in early October and stop serving it when the weather warms up after Chinese New Year. The place we visited only serves dog and is one of the best in town. They only cook a few dogs every day, so the crowd shows up early before it’s gone. We got there at 5:15pm and there were people already eating. 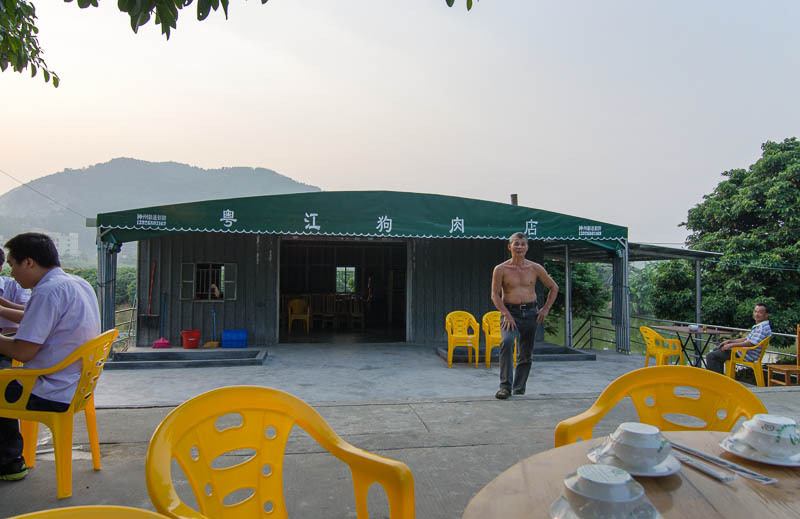 The restaurant consists of a small steel shed on one level and the kitchen & prep area below the shed. 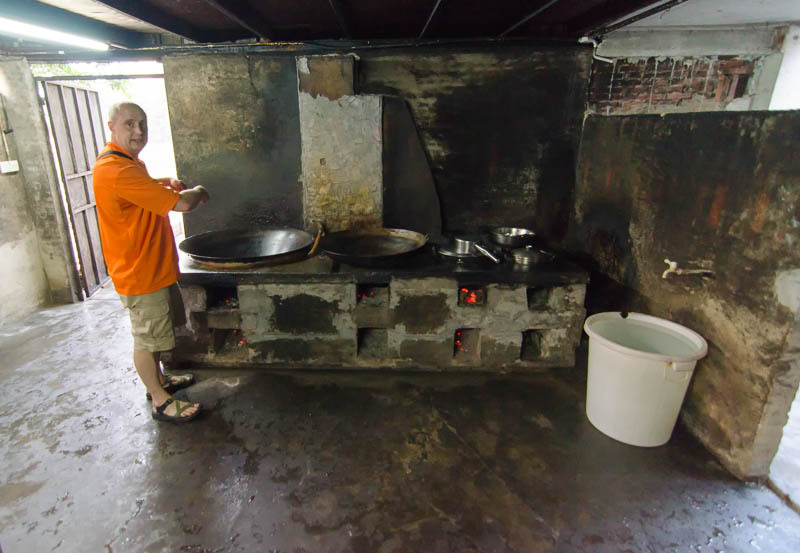 The owner of the place graciously allowed me to photograph the primitive kitchen (to add to my collection of Chinese restaurant kitchen photos). The tables are set out on the sidewalk as customers arrive. If it rains there is only room for 4-5 tables in the shed, so this is truly an alfresco restaurant in the cold weather. Luckily for me it was a beautiful evening in the mid-80’s. Dog restaurants typically serve black dogs that are 2 years old. Apparently black dogs are more delicious than white dogs. Who knew? They’re raised like other domestic farm animals (sheep, goats, etc.). This is a challenging concept for Westerners to grasp because we treat dogs like our children. 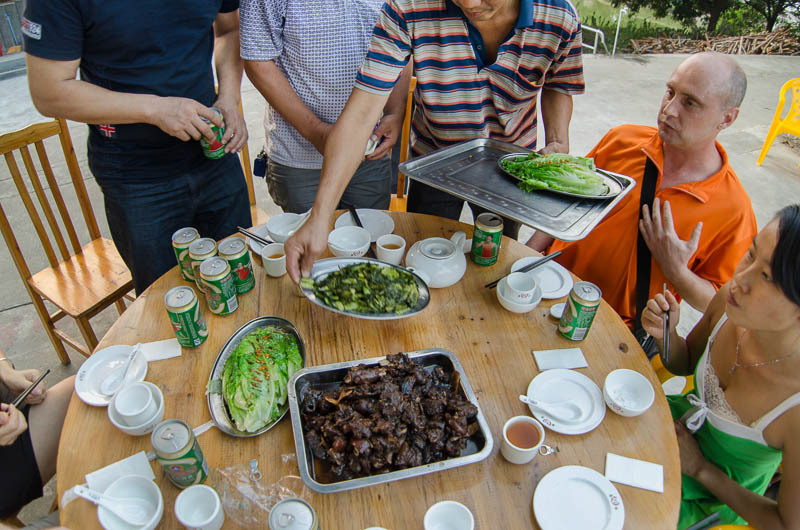 The culture in China is slowly embracing dogs as pets as the middle class evolves, but older generations still consider dogs a viable food source in the winter. This restaurant serves only one dog dish, a slow-cooked stew. 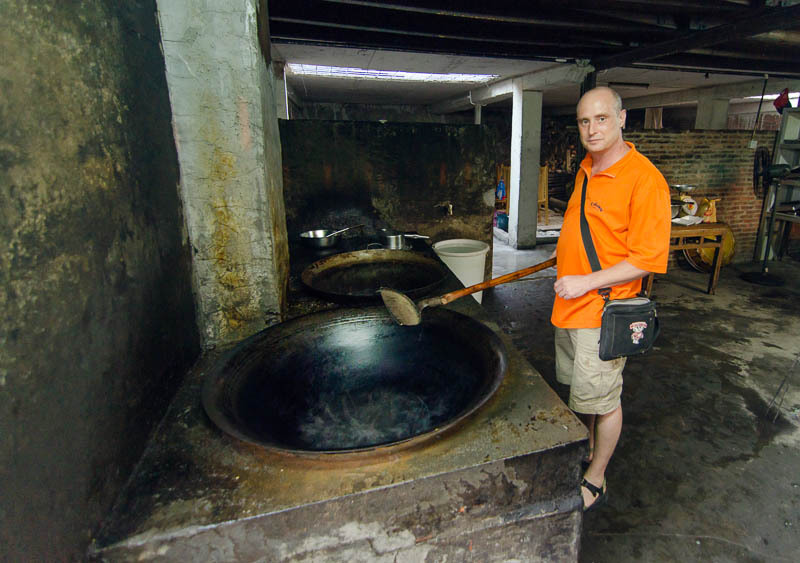 It’s prepared in the traditional (bland) Guangdong fashion. I personally think they should offer a Hunan version with some chili peppers. Everything tastes better with hot sauce. They also serve two simple green vegetables with the dog dish. No menu here – just the three dishes + beer. 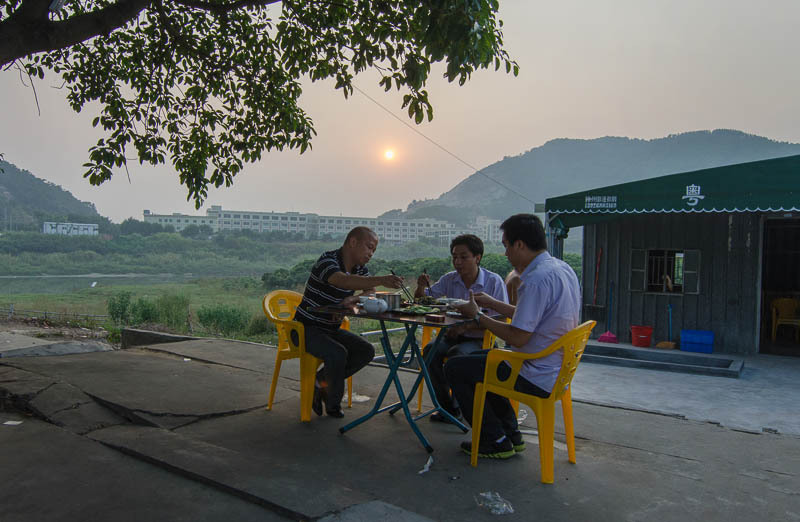 EDIT: After eating at the dog restaurant I mentioned to a few Chinese people that I tried dog and I’m quickly discovering that the majority of people here don’t partake in the canine cuisine. 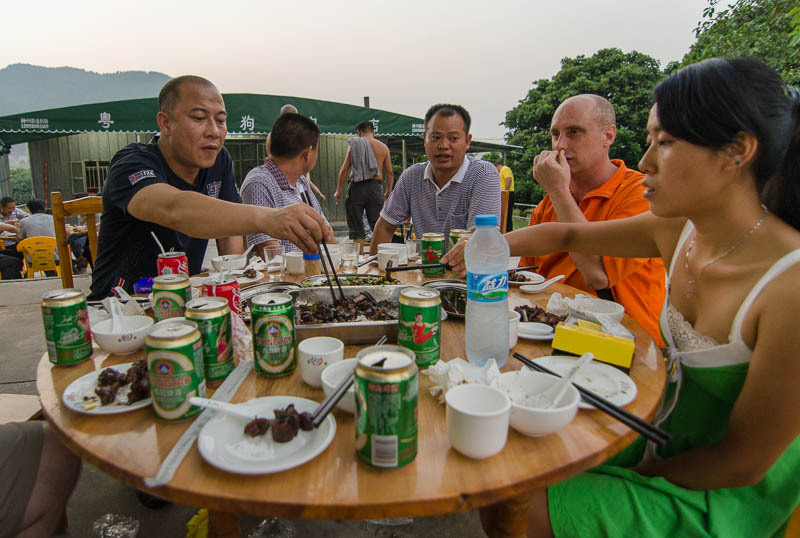 As expected, they’re surprised a westerner tried it, but they also said would never eat dog. Hmmm. 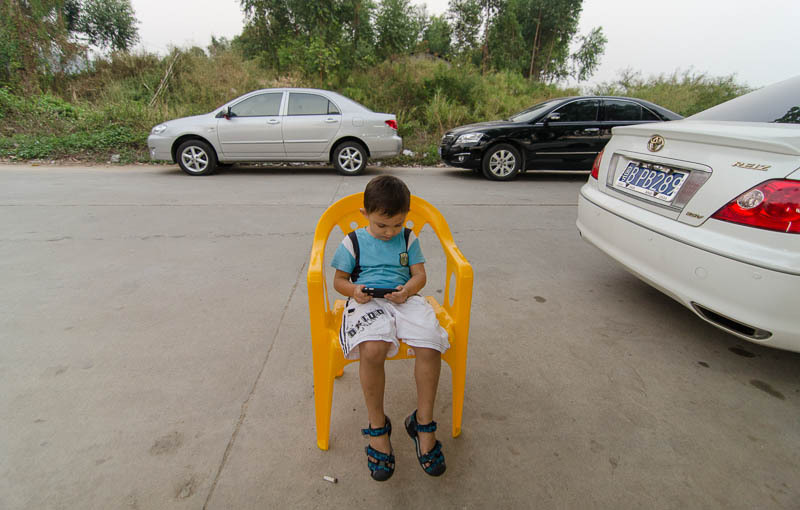 October 12, 2012 | Filed under China, Food, Kids and tagged with China, Eats, kids, Street food.